All Wolfard oil lamps and candles are all handblown from borosilicate glass, adding durability to the classic designs. Using Wolfard's exclusive "in-flame" technique at higher-than-usual temperatures, the glassblower must have higher-than-usual skills at his craft. No two lamps are exactly alike, due to variations in this art form. 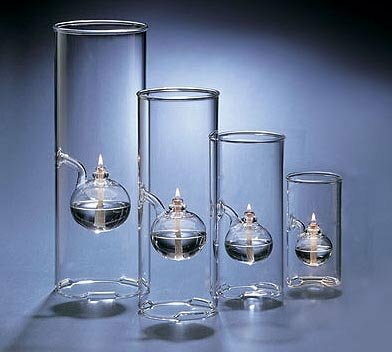 Handblown from finest heat resistant glasses available. If you have any questions about this product by Wolfard, contact us by completing and submitting the form below. If you are looking for a specif part number, please include it with your message.